Among the oldest words in English are the personal pronouns I, you, he, she, it, we, and they. Five of the personal pronouns have two forms each: a subject form (I, he, she, we, they) and an object form (me, him, her, us, them). The most common errors occur when subject and object forms are reversed. Two additional errors that seem to be increasing are 1.) replacing a personal pronoun with a pronoun ending in -self and 2.) using a personal pronoun in a context that calls for a possessive adjective. Correct : In the next several weeks, my colleagues and I will be discussing the appropriate way to do that. Correct : She made children feel special by taking pictures and spending quality one on one time with them and the dog. When the object of a preposition is a pronoun, the object form is required. Correct : Rodgers then followed her and her daughter out of the grocery store. The transitive verb followed requires the object form her. Correct : Susan announces her and her husband’s plans to divorce in front of Atticus’s family. She is a subject form and cannot be used as a possessive adjective. Susan announces plans for the impending divorce. They are “her husband’s plans.” They are “her plans” as well. Incorrect: Both my wife and myself felt so much happier after watching this movie. Correct : Both my wife and I felt so much happier after watching this movie. There may be occasions when the emphatic form is wanted for a rhetorical flourish, but in ordinary speech, replacing a personal pronoun with one ending in -self or -selves is nonstandard usage to be avoided. Great article. Excellent advice. But shouldn’t the headline be ‘Top 5 Mistakes with Personal Pronouns to Avoid’ or ‘Top 5 Personal Pronoun Mistakes to Avoid’? Mistake #’s 1–3 are so common that in a few years it will longer be considered a mistake. I hear the mistake all the time on radio and TV. My theory is that is is “me” phobia – the fear of using the object form, when the subject form should be used. So instead people use the subject form in every situation. Thanks for the interesting and informative newsletter. 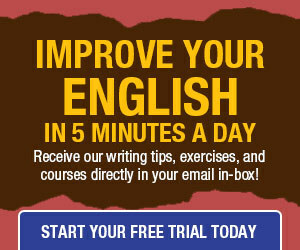 I enjoy reading it and learn a lot about English and its history, and that for free! As I am not a native speaker, there is something puzzling me in COE (contemporary online English): what’s the business about stood/sat as a passive form? I often come across sentences like “she was stood in the doorway and waited for him”, or “when she entered the living room, he was sat on the sofa, reading a book.” Can this possibly be correct? To my German ears, this sounds a lot as if it was not the person doing their own sitting or standing, but someone put them there like a puppet. Please enlighten me! Irene – I’m not a native English speaker either so don’t take my word for it, but as far as I know if someone ‘was sat’ somewhere (although I don’t think I’ve ever heard that) it means someone else put that person there (guess you’d say ‘was placed’ somewhere). But I might be wrong. As for online English, it’s probably not written by someone natively English. My advise; don’t try to learn from it, you’ll lose your sense of what might be right and what isn’t wrong. Thank you for you reminded us some facts about personal pronouns and updated our knowledge on the topic. 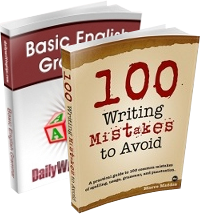 We expect more on different issues like types of tenses, writing processes, etc. in the future. Subject pronouns vs. object pronouns: an easy decision if you remember one simple rule-subject pronouns serve as subjects to verbs. That is all they do, and they do can it every time a verb needs a subject. If the pronoun is the subject of a verb, use a subject pronoun and nothing else. Thus, as with nearly every question about English grammar, examine the verbs. English is, after all, a language based on verbs.